Did you know even “Healthy” and “Natural” foods can be contaminated??? I didn’t either… and I was mad as hell when I found out. Let me show you how to avoid the simple shopping mistake most people make when they switch to eating more natural foods like meat, fruits, and vegetables… so you can get on with your life and feel amazing! If you’re anything like me, this one shopping mistake will hold you back and leave you feeling “stuck” even though you’re doing everything else right. 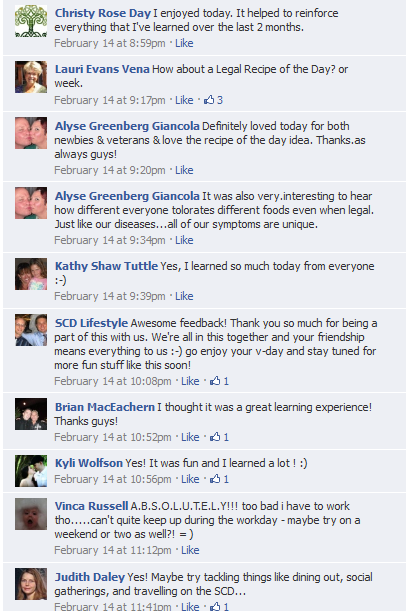 We’ve been helping thousands of people navigate natural diets, including SCD, GAPS, and Paleo. Let us show you what NOT to do at the grocery store, so you can start feeling better and saving money. 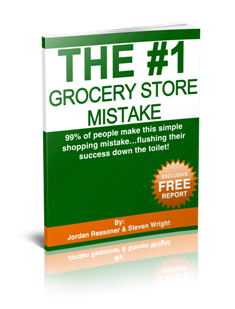 Grab this FREE report: “The #1 Grocery Store Mistake” NOW! Cloves are not on the list, are they ok? Hi Lily, thanks for commenting. After the Intro phase you can try and introduce cloves and see how you react. We recommend you introduce each spice as you would a new food (one every three days) so you can be certain you aren’t having a reaction. I’ve recently had a major setback and I couldn’t figure out why I was getting ill again and it was because the chicken I was using was corn fed. Initially it wasn’t but I hadn’t realised that the product had changed and the company had put such a small label on the chicken that I had completely overlooked it and thought it was the normal kind. Unfortunately after a year of being on the GAPS/SCD diet I have had to start all over again and feel I’ve lost a lot of ground. Checking labels is most important. Unfortunately some prescribed medicine I’ve been taking had maltodextrin as flavouring which is also SCD illegal and worse than lactose according to Elaine Gottschall, and I’ve only recently realised that so I’ve been very ill.
All I can say to anyone in a similar position is don’t give up although it can feel hopeless sometimes. I’m on your tough case meal plan at the moment, eating more less the same food for days is really boring and I’ve been wondering what are you thoughts on nutritional yeast flakes, are they SCD legal? Could I use it in my diet at this stage or is it a definite NO on SCD? Thanks for reaching out! We recommend avoiding these especially until much healing has occurred. I’m passionate about health and quality of life and this type of ignorance makes me angry. Thanks for digging deeper into this issue and providing vital information for everyone afflicted with this! I have a question. I am Dutch. Now I am for 2 months on Curacao. I am trying to find lactose free butter. But the french ones I cannot find here. I found a butter from New Zealand called Anchor. Do you have any idea or this lactose free? Now I am cooking everything with olive oil. My bread and baking etc. Do you have any suggestions? @Isabella – Use coconut oil and other animal fats like duck or lard for cooking. Most butters are okay, you can always make ghee from the butter to make it even safer. ALL margarine is bad…… I wouldn’t use Becel or any other brand, even if it LOOKS okay. http://preview.tinyurl.com/ckb9noa – This is a NZ site for Anchor products (Fonterra). Looks like it has less than 1g of lactose. NZ butter is made from grass-fed cows. Our cattle is all grazed outside in the fields. If they get sick, they do get antibiotics but then there’s a few days’ delay before they’re milked again. I’m not positive but I believe there are no hormones involved. They get grains for a short time when the grass isn’t nutritious. 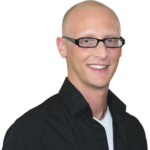 Cool Robin, thank you for sharing the link – you rock! This is one reason why we try and buy as much whole, unwaxed foods as possible. The FDA also allows small amounts of new “flavor” chemicals to be added to many processed foods without listing it on the label. Some of these impair your tongue’s ability to taste the bad stuff in the food. But don’t worry, just because they are new, untested, unlabeled chemicals what could go wrong? I started realizing this several months ago. Avoiding foods with this in it definitely helps! Thank you for bringing it to everyone’s attention!